SIZE XL IS ON SALE FOR $13.99! Give your favorite classic cartoon a modern twist with the Looney Tunes Geometric Marvin the Martian Black T-Shirt. 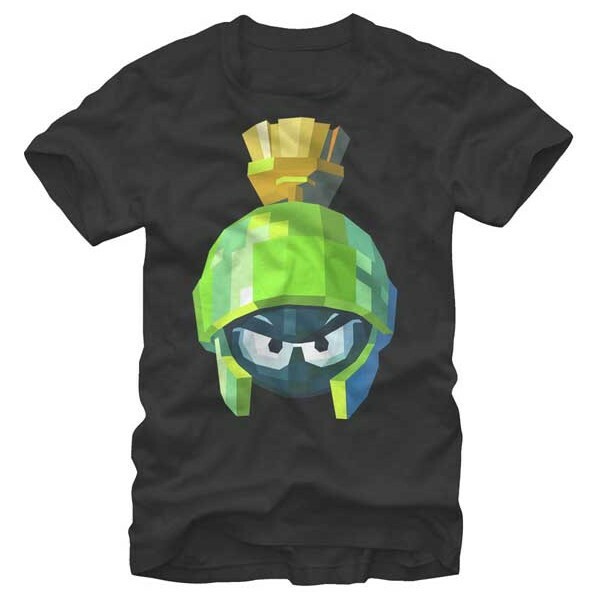 This durable black graphic tee features an artistic geometric print of Marvin the Martian for a totally unique and looney look. SIZE XL IS ON SALE FOR $13.99! Give your favorite classic cartoon a modern twist with the Looney Tunes Geometric Marvin the Martian Black T-Shirt. 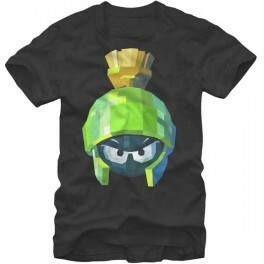 This durable black graphic tee features an artistic geometric print of Marvin the Martian for a totally unique and looney look. Officially licensed. 100% cotton. Please refer to our size chart below for shirt dimensions.